Have I mentioned lately how much I love cheese? You know what I love even more? Finding dairy free ways to indulge. This Vegan Butternut Squash Mac & Cheese is the real deal. 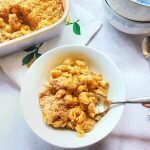 I dream of this dish and hope you love it too! Preheat oven to 400 degrees. 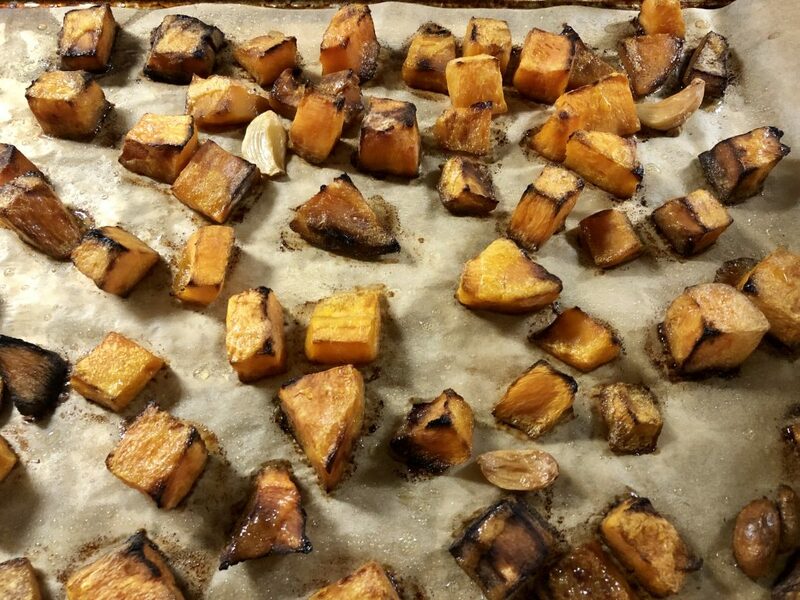 Line a baking sheet with parchment paper and add the squash and cloves of garlic. Drizzle with olive oil and season lightly with salt. Bake for 50 minutes until fork tender. 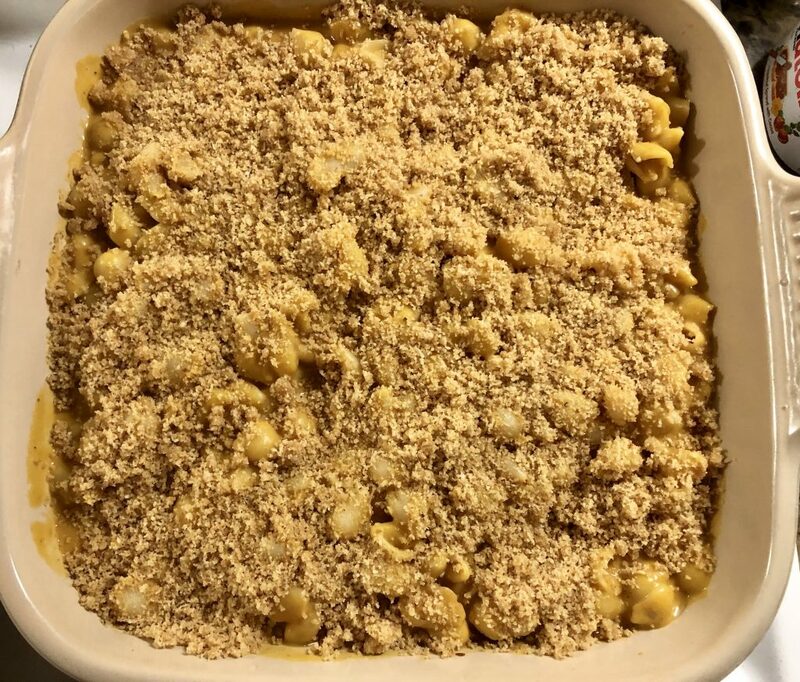 Remove from oven and lower the oven temperature to 350 degrees. While the squash is baking, cook the pasta according to the package directions. Reserve the 1 tbsp of pasta water and drain the rest. 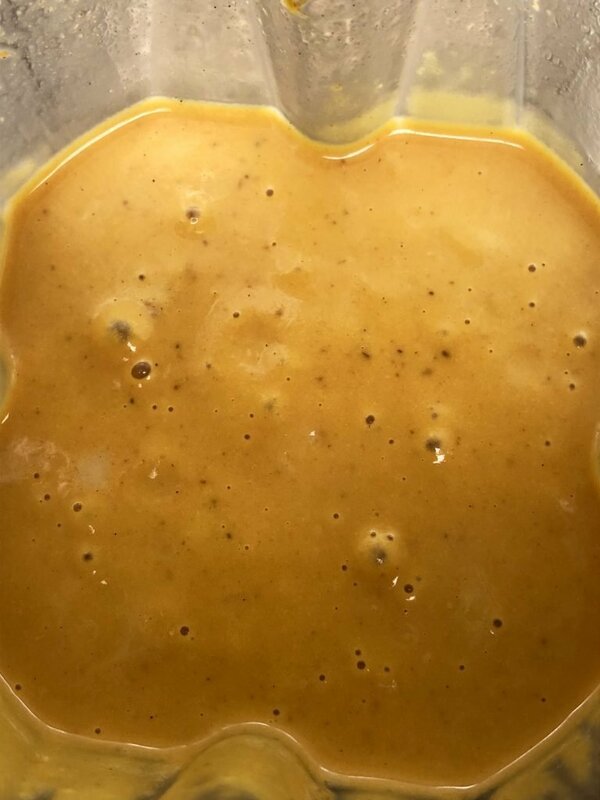 To make the sauce, add all of the sauce ingredients and the cooked squash and garlic to a high speed blender or food processor. Blend until smooth. 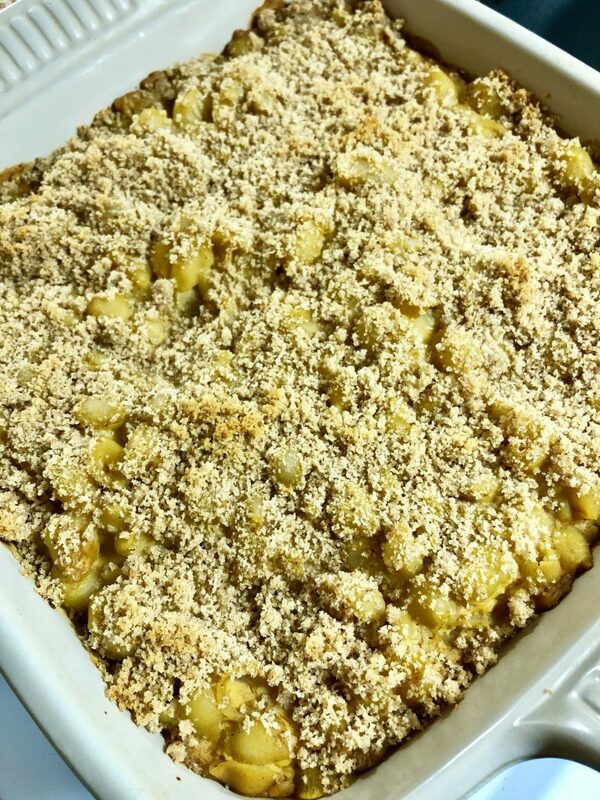 Transfer the cooked/drained pasta to a 2 qt baking dish and toss with the sauce. 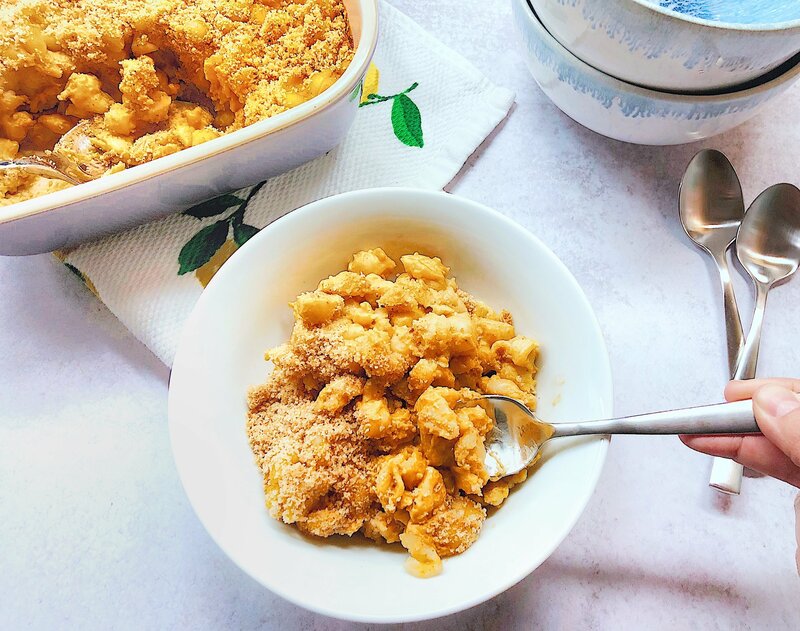 In a small heat-safe bowl, melt the margarine and toss with the breadcrumbs and salt. Sprinkle over the pasta and sauce and bake the dish for 30 minutes. 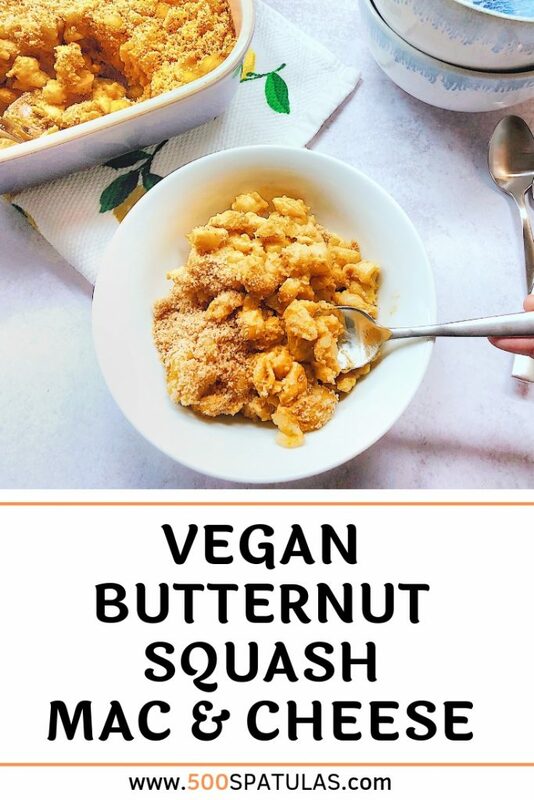 Serve this Vegan Butternut Squash Mac & Cheese hot and enjoy! Preheat oven to 400 degrees. 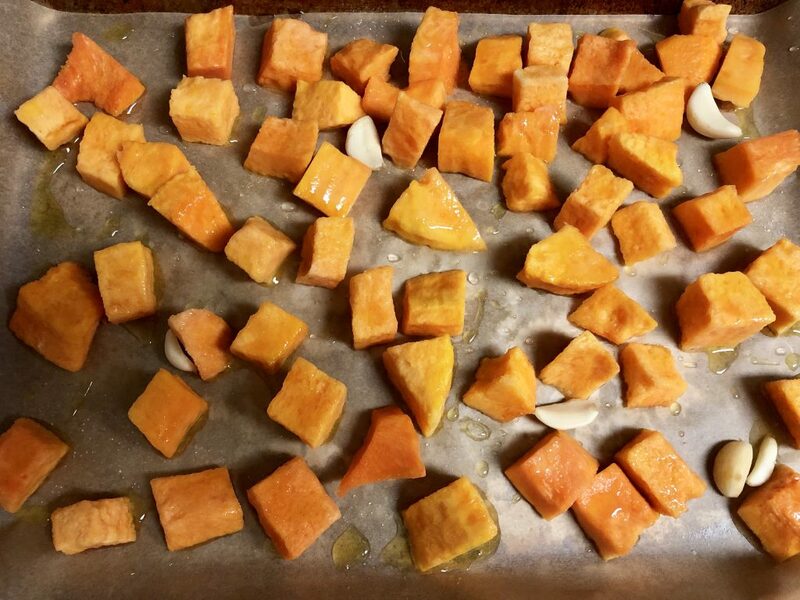 Line a baking sheet with parchment paper and add the squash and cloves of garlic. Drizzle with olive oil and season lightly with salt. Bake for 50 minutes until fork tender. 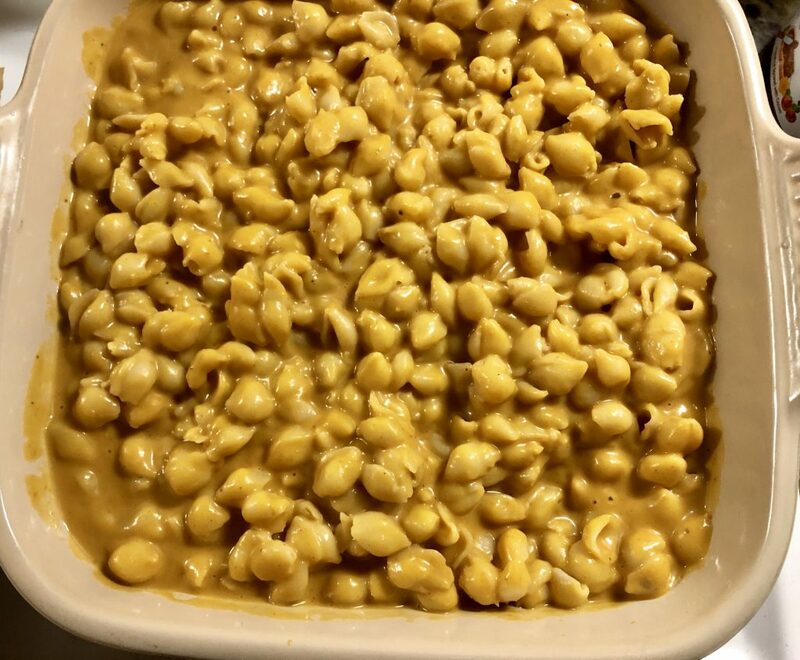 Remove from oven and lower the oven temperature to 350 degrees. 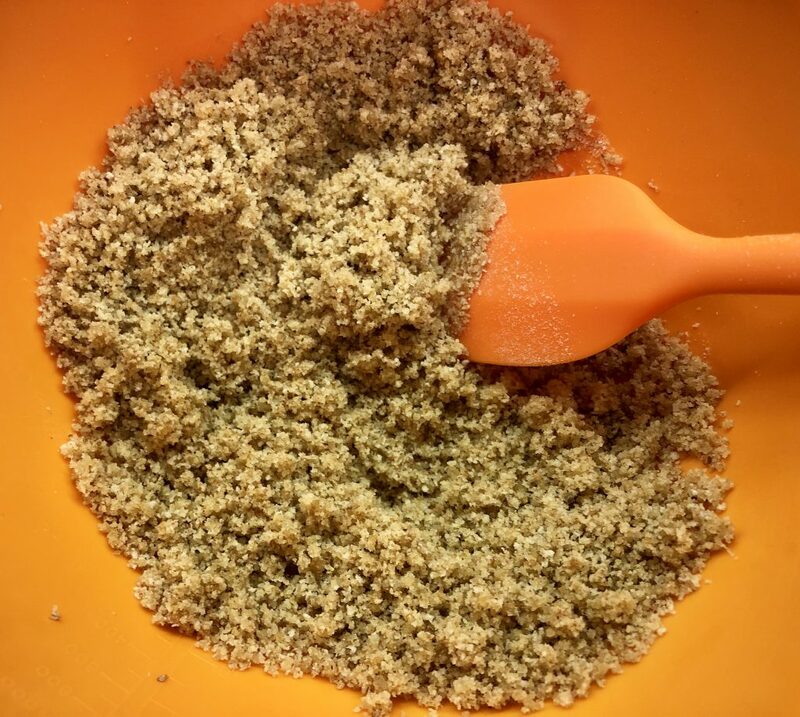 In a small heat-safe bowl, melt the margarine and toss with the breadcrumbs and salt. Sprinkle over the pasta and sauce and bake the dish for 30 minutes. Serve hot and enjoy!